Colombo is the capital city of Sri Lanka, and houses a population of 647,100 people. Ancient architecture sprawls across the city, whilst colourful colonial buildings, skyscrapers, and shopping malls bring the city back to the modern day era. 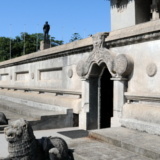 Colombo is busy and vibrant, whilst offering a magnificent blend to the backdrop of history and a modern-day evolution. Cheap flights to Colombo are now available for a limited period of time, so get ready to be captivated by this beautiful city. Colombo is home to the Bandaranaike International Airport (CMB), which is a pleasant 50-minute drive from the city center. Bandaranaike International Airport serves a multitude of airlines - including Qatar Airways and Sri Lankan Airways. Popular international flights departure from Cape Town and Johannesburg. Flight duration from Johannesburg to Colombo is approximately 15 hours and 20 minutes. A bohemian mix of modern buildings, ancient temples, shopping malls and beautiful parks adorn the city. Allow the city to grow on you as you venture through the crowded streets. Known for its regional diversity, kaleidoscope of buildings and ancient shrines that hug the city in an immaculate way – you’ll feel as though you are in paradise. 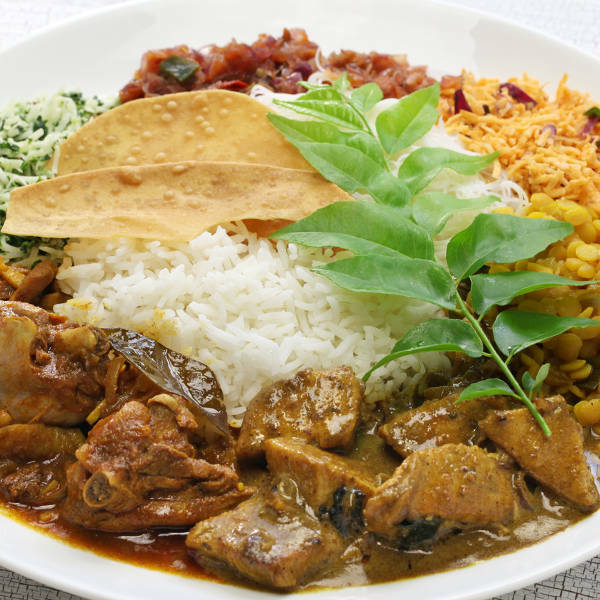 An authentic Sri Lankan meal usually consists of a generous portion of crisp poppadum or dry fish, curry, and traditional island sweetmeats served on a warm bed of rice. 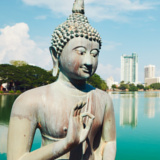 Colombo is a year-round destination, with two monsoon seasons, so careful planning is essential. The best time to visit is during the beach season, which spans January to April. The city basks in sunshine and is relatively dry throughout. The temperatures are warm and lovely, although just a touch cooler up in the hills. From May through to June, the south-west monsoon blows throughout the city. It is also the gentler of the two monsoons that Sri-Lanka experiences, with mainly short and sharp showers that tend to pass quickly. From November through December is also a good time to visit as the rains have helped create lush, green landscapes; and fresh foliage can be seen everywhere, making it an exceptionally beautiful time of the year to explore Colombo. 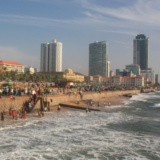 Colombo is Sri Lanka’s capital, as well as its ocean city. Beaches are the ultimate draw card for any traveller coming into the city. 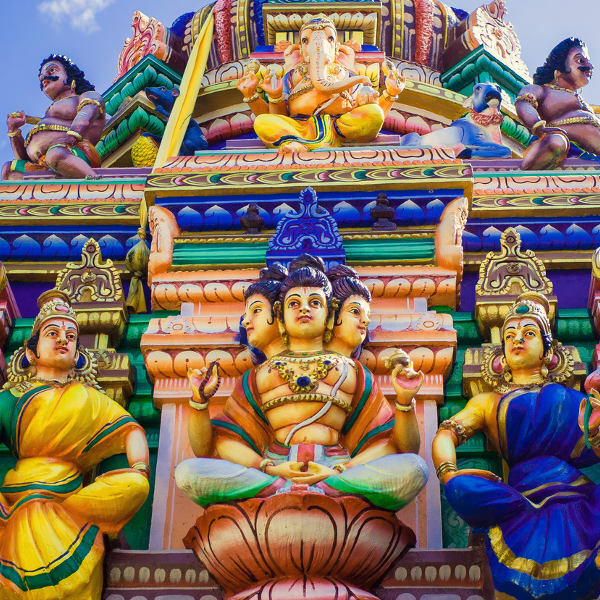 When you decide to take a break from the ravishing sun, and you’ve had enough of sunning and relaxing – do head into the capital, you will see a lot more of the Sri Lankan culture. A kaleidoscope of contemporary buildings and ancient temples lure the traveller with a deep sense of years gone by. The ancient phenomena is like a magnet, and you’ll find it hard to break away from all this city has to offer. On the other hand, fashionable buildings and skyscrapers bring you back to the modern-day era. Once you get pass the sprawling city layout and the crowded city centres, which spill into the streets of Colombo, you’ll find that the city grows on you. The longer you stay, the more you’ll love Colombo. Compare several airlines, and book your cheap flights to Colombo online with Travelstart! A visa for Sri Lanka is issued upon arrival for South African citizens. 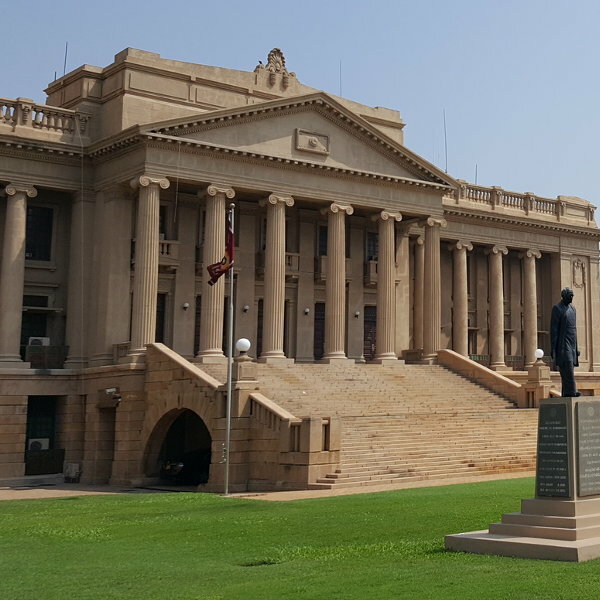 The South African high commission to Sri Lanka is located in the capital Colombo. The address is 114 Rosemead Place, Colombo, Sri Lanka. All travellers should be up to date with routine vaccinations, as vaccinations are required. There are no real health risks associated with travel to Colombo, Sri Lanka. • Vaccinations are recommended for hepatitis A & B and typhoid. • There is no chance of contracting malaria, but precautions should still be taken against mosquito bites, as there are occasional outbreaks of mosquito-borne diseases like dengue fever and chikungunya. This charming guest house has seven rooms in different sizes, spread across two houses. Authentic modern day luxury and ancient antiques add to the exquisite ambiance of this place. Offering an outdoor pool and restaurant, this little cosy-cone is the best place to be after an adventurous day. Relax in your air-conditioned room, with a lovely private bathroom and shower, whilst someone does your laundry for you – another exclusive service this amazing hotel has to offer. Set inside an old villa, this convenient lodge is less than a kilometres’ drive from the city centre. This exquisite little charmer boasts elegant outlines and sophisticated artwork. Featuring boutique-style rooms, picture yourself lounging on your bed after a long day or taking a splash in your own private pool. Just a 5-minute walk away from the Odel Shopping Mall, you’re seconds away from entering a shopping odyssey. • Bus: Local buses go to most places, including villages outside the main towns. • Taxis: There are only some metered taxis in Colombo. The price range of others can easily be compared to the three-wheelers, and these provide much comfort and security. • Three-wheeler: These are literally waiting around every corner and are commonly referred to as tuks-tuks. Be sure to negotiate a price before boarding one of these, but rest assured, the metered three-wheeler is also being instituted in some parts of Colombo.